Honestly, I do not possess a sweet tooth; OK maybe only for chocolates. And perhaps that is the reason why I create fewer sweet dishes. Yet, I love the concept of sweet endings to a meal – a dessert – which is best eaten when created with minimal fuss, in my honest opinion. 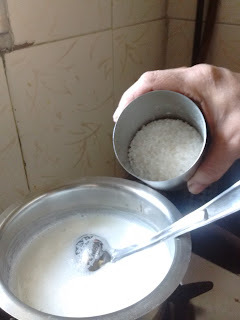 Thanks to my sweet-loving family, I have now learnt to whip a sweet dish quickly and ones especially that require no to minimal preparation time. 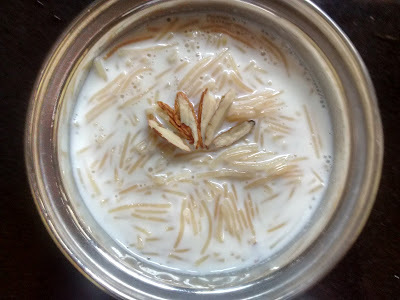 And today I share one of the first desserts I learnt when started taking interest in cooking – a one pot dessert : Sevaiya Kheer. It is simple - and that is why I hold this recipe close to my heart. Simple, quick and full of flavours, it is the best dish for beginners to learn. And I can make it under 10 minutes if all the ingredients are available. So here, I recreate the recipe as guided by my dear mother-in-law. 125 gm Sugarfree Natura powder – a natural sweetening substitute. 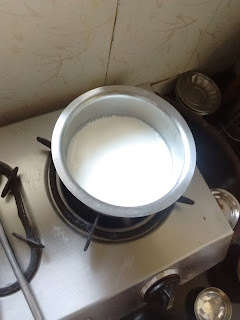 Pour all of the milk in a vessel and heat it on medium heat. Simmer for 1-2 minutes. 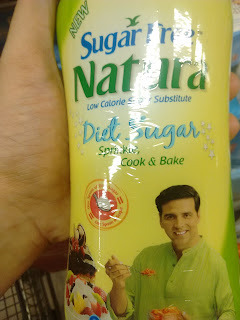 Add Sugarfree Natura or Sugar and mix well. 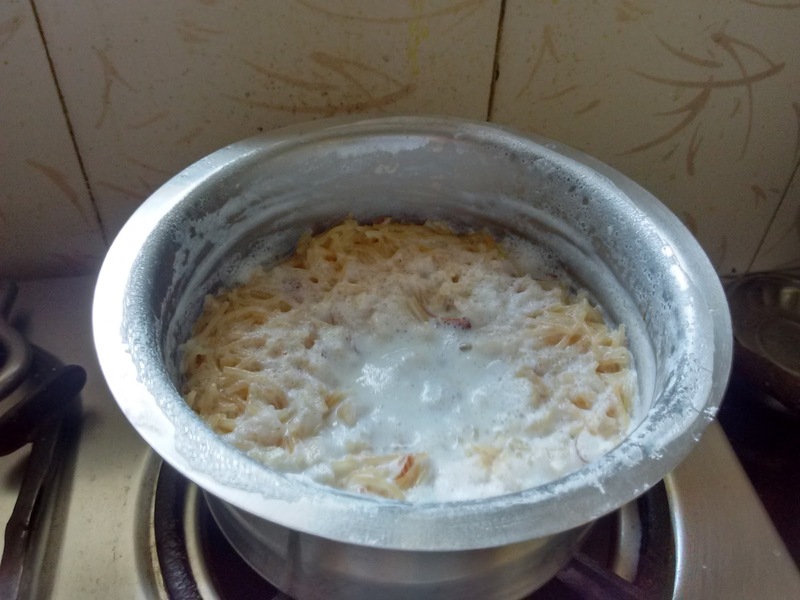 Then add the chopped dry fruits and the vermicelli and mix well. Add the saffron strands and the cardamom powder and mix well. 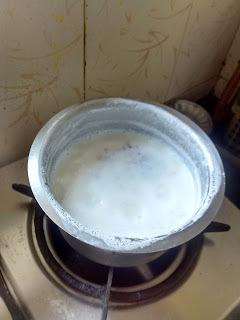 Just as the milk starts to boil, take it off the gas and cover with lid. Let it rest for 5-7 minutes. 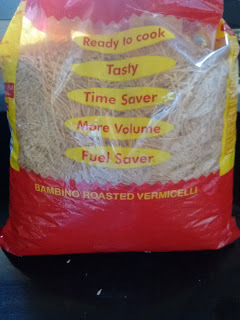 This step will allow the vermicelli to cook. Serve hot with slivers of soaked almonds as a garnish. Alternatively, after the kheer has cooled down to the room temperature, you can refrigerate it for an hour or so and serve cold as well. If you use Sugarfree Natura – a natural sweetening substitute- instead of sugar, you will perhaps not notice the difference in sweetness. But as compared to sugar, it is known to lessen the amount of calories consumed. So consume your sweet dessert guilt free, minus the calories! Do try this recipe and let me know how it tasted. This post has been written for the Sugar Free Dessert Challenge contest on IndiBlogger. That's delicious, Gauri! Loved your recipe. Its one of those typical Muslim desserts and I loved your interpretation. Will try it and good luck with the contest! Looks good. I like mine cold thank you...sending a bowl?? ?